Form a team to honor, celebrate or recognize someone you know who has been impacted by organ, eye and tissue donation, or just for fun! Team captains will receive a free electronic copy of your team photos if you have an official team photo taken on race day in the Team Photo Area. You may download your team packet below. Please remember, as team captain it is your responsibility to ensure all team members receive their bib and t-shirt. To view a list of your team roster, you may log onto your dashboard on Race Roster. To join a team, you must select your team name during registration. For questions about where to pick up your bib and t-shirt or where to meet your team, please contact your team captain. In order to pick up your race packets as a team, you must have at least ten members by the team registration deadline at 11:59pm on Sunday, July 14th. We are not able to make exceptions to this rule. Team Captains can view their team roster at anytime on their Race Roster Dashboard. We are expecting over 6,000 in attendance this year. Please plan on car-pooling if at all possible. 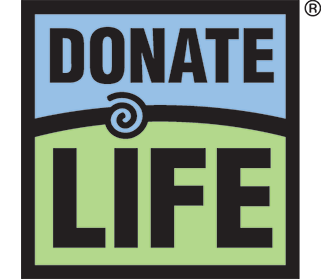 Friday, June 21: Donate Life Garden Memorial Signs & Race Course Inspirational Sign orders are due. Sunday, July 14: Team Registration closes at 11:59pm. We are not able to make exceptions to this rule. Wednesday, July 17: Team Packet Pick-Up from 7am-7pm. Please note that only participants who submitted their registration prior to the 11:59pm deadline on Sunday, July 14th are able to pick up their packets early. Sunday, July 21: Race Day at Washington Park!